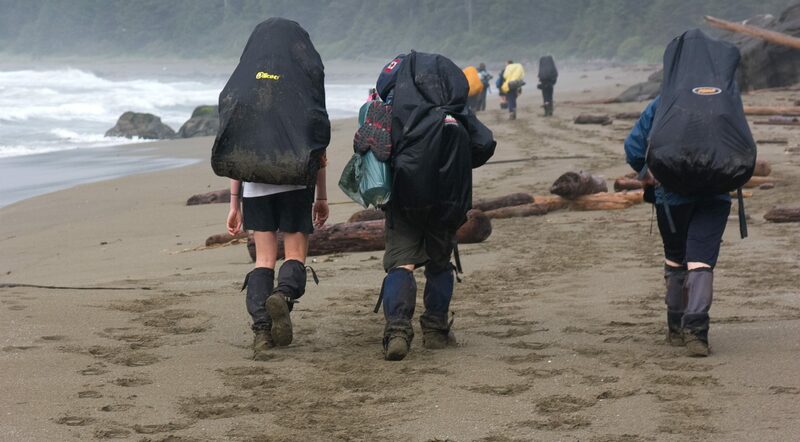 Every September, the grade 11 class of Duncan Christian School is blessed with the privilege of tackling the world famous West Coast Trail. Renowned for its rugged trails, massive ladders and breathtaking views, the West Coast Trail is not for the faint of heart. Covering 75 kilometers of rugged terrain along the west coast of spectacular Vancouver Island, the West Coast Trail allows hikers to see parts of the earth that most of the world’s population will never see. Hiking through mud, over roots, across logs, along boardwalk, through rivers and beside the crashing Pacific surf is an adventure that leaves a lasting impression on all who experience it. Hiking through the magnificent coastal rain forest gives everyone a chance to see the world with a fresh perspective. The annual trip is a great opportunity for the students to enjoy time exploring the wonders of God’s creation and gaining a new perspective of His majestic vision and power. It is also a great time for students to bond and learn to rely on each other and those around them as they face struggles on the trail and in their lives. After completing the trail, everyone has a great sense of accomplishment and has developed a greater friendship with those they had the joy of traveling the trail with. 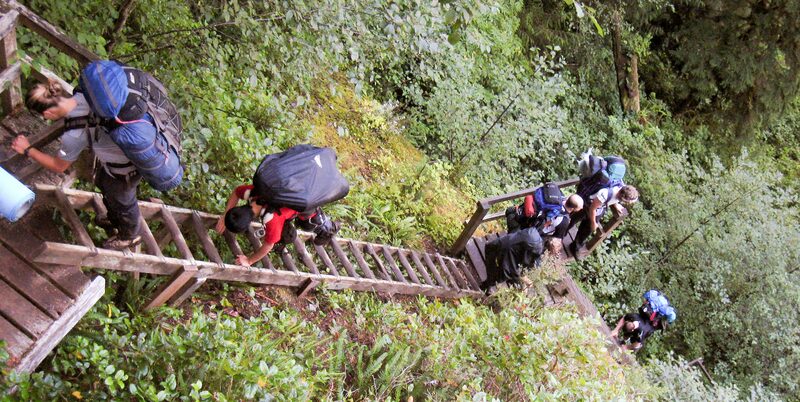 This very valuable and worthwhile hike involves months of planning, practice, and preparation. Typically the class is divided into two groups, one starting from the Bamfield in the north and the other starting from Port Renfrew in the South.